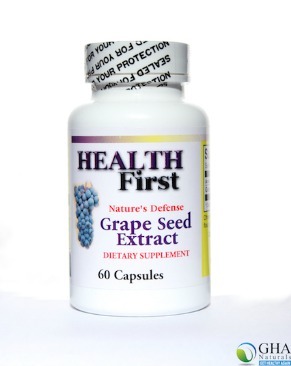 This grape seed extract is 40 to 50 times more potent than the typical grape seed extract sold everywhere. This is because it is made using Masqueleir's third and final patent which utilizes expensive vacuum and low temperature processing to protect the anti-oxidant capabilities of the grape seed. Masqueleir was the researcher who discovered the OPC's in grape seed extract, and researched the many health benefits they provide. It is highly anti-inflammatory, great for pain relief, the cardiovascular system and cancer. OPC's have a history of being powerful cancer fighters as they protect cells from free radical damage and boost immune response. As reported in PubMed, the conclusion of one study on OPC's and colorectal cancer is: "These data indicate that OPC caused cell death by apoptosis through caspase pathways on human colorectal cancer cell line, SNU-C4." Most people don't get powerful results using grape seed extract because the extract they use has not been processed correctly so it is largely impotent. In addition, it is combined with grape skin extract (transrevestrol), which also has proven strong anti-oxidant and disease-fighting properties. This combination has been shown to be excellent for recovery from surgery. 60 50-mg capsules. 12 capsules per day for several weeks gives fastest pain relief and reduction of inflammation and skin conditions. Ingredients: Grape seed extract 100mg.